Sew Susan: Danielle Donaldson and whimsical girls. Danielle Donaldson and whimsical girls. 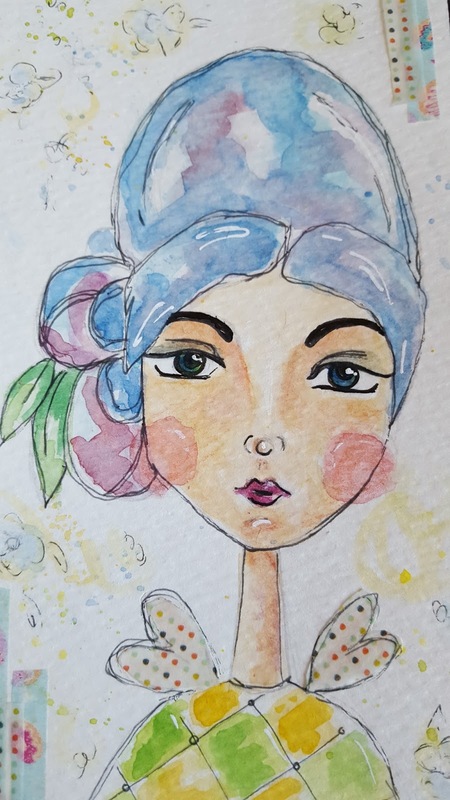 My attempt at a water coloured whimsical girl. I adore books and I recently purchased "Creative Girl" by the amazing artist Danielle Donaldson. 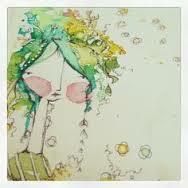 I am in love with her beautiful water colour doodles and whimsical girls. 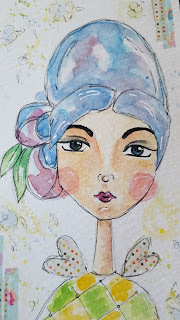 I thought today I'd have a little play at doing my own whimiscal girl using her technique of using water colour paints. I also managed to fit it a bit of sewing but I can't share that at the moment as it is for my in the spot light challenge. All in all it has been a lovely creative day. Lazy blogger but busy bee.